Raw on $10 a Day (or Less! ): Will and Madeleine Tuttle, and The World Peace Diet! Not all nourishment is of the edible variety. We were thrilled to be able to spend the afternoon yesterday with Will and Madeleine Tuttle, and some friends new and old. 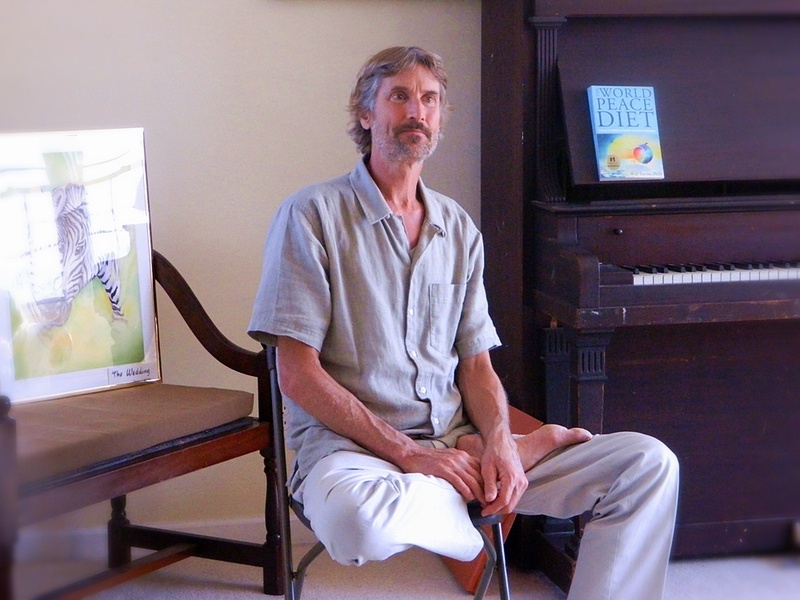 Will was kind enough to have lunch with us and share his World Peace Diet lecture at an event at our home in Brooklyn, Michigan. 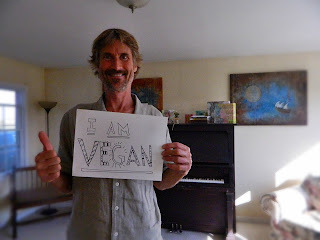 The World Peace Diet is the book that inspired me to become vegan. I read it in one sitting, and have been vegan ever since. Will's lecture, like his book, is centered on compassion ... a philosophy of "radical inclusion," where no one is beyond the reach of empathy and compassion; from the sentient beings we keep and kill for food, to the slaughterhouse worker, to those in the world who go hungry so others can have meat. He also cogently presents the cold, hard facts of animal agriculture and the devastation it has caused to the health of our communities from the local level to the global. There were also questions about vegan nutrition, which Will deftly explained. 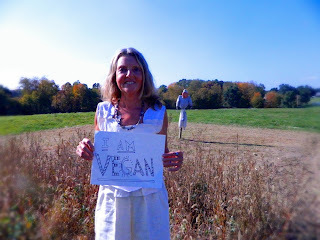 Kathleen Ruhl (my new friend and fellow Raw Food Rehabber!) asked an excellent question about common misperceptions surrounding the need to combine proteins. Will was able to address that worry as a myth originating from experiments done on rats in the 1920s, which have since been thoroughly and repeatedly debunked. The nutrition part of being vegan is actually very simple. Plants use energy from the sun to make carbohydrates via photosynthesis and also create amino acids (i.e. proteins) from carbon, nitrogen, and hydrogen. And their roots draw minerals up from the soil. Animals don't themselves generate nutrients any more than we humans do, they get them from the plants. We humans can get the energy from the sun and the minerals from the soil in the very same way ~ directly, and far more efficiently ~ by eating plants. The takeaway message for me was that we reap what we sow. We can't logically expect to keep and kill billions of animals, starve half the world, overfeed the other half, poison our land and water, and ask our children and ourselves to emotionally disconnect three times a day and still somehow live happy, peaceful, healthy lives. It would be like planting a carrot seed and expecting a tomato. It's simply not ever going to happen. If we want freedom, and peace, and health for ourselves and our children, we absolutely must give it to others. We'll certainly never get it by depriving billions of others of the very things we so desperately long for. We keep and kill 10 billion land animals every year in the United States alone. It can be difficult to even imagine what a billion is, it's such a large number. Here's an exercise that helped me put that huge number into perspective. If I were to stack a millions dimes on top of each other, they would reach just under a mile, going from my front porch to the gas station on the corner. If I were to stack a billion dimes one on top of the other, the stack would be just under a thousand miles long. A billion stacked dimes would stretch from my Michigan porch to the state line of Florida. Imagine how far it would reach if those dimes were, instead, chickens or pigs and there were ten stacks. Those are the kinds of astronomical numbers we must use to describe what we do to other animals. The event turned out really nice for those who were here, and I was able to get excellent video for the local channel. I had the local metro paper reporter out for it, and I'll do a story myself for our town paper. I was really, really happy to have the opportunity to spread the word. This kind of grass roots involvement is so exciting. I think I'm even inspired to start a local vegan meetup. There's a short article here at MLive.com, as well. Please join in the discussion, if you feel so inclined. Have you read The World Peace Diet? 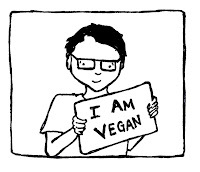 Are you vegan? You don't have to be from Michigan to comment! 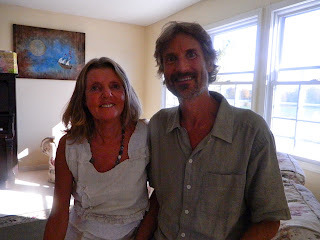 I also recommend you take a look at Will and Madeleine's website. His book is available there, as well as his music CDs, and Madeleine's lovely art. Online images can't quite capture how evocative Madeleine's art is in real life. She paints with a vibrant palette and direct style that is at once charming, whimsical, and profoundly touching. Her love of her fellow earthlings shines brightly, and that comes through in her art and in her person. 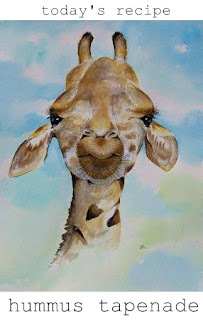 Madeleine's giclee prints are as stunning as the originals and are also available on their website. but we also had food! 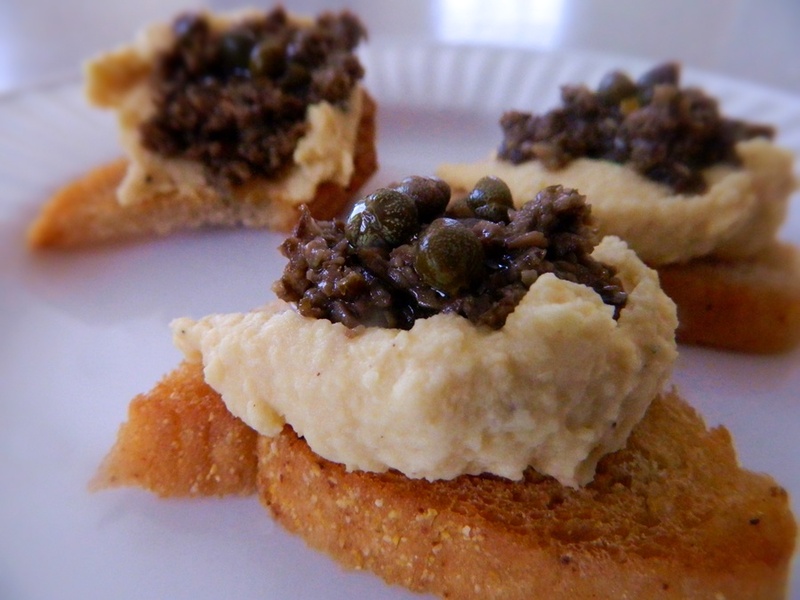 I haven't accidentally left out the tahini in this recipe! I never seem to have any when I get the urge to make hummus, so I've always used olive oil instead. This is the recipe I've come to use nearly all the time. In a food processor fitted with an "S" blade, process all the hummus ingredients until very smooth and creamy. This takes several minutes. To make the tapenade, finely chop all the tapenade ingredients together. I used a food processor and whirred it just once or twice to avoid over processing, but a "slap chop" kind of chopper would work. I've also seen it made with a mortar and pestle. 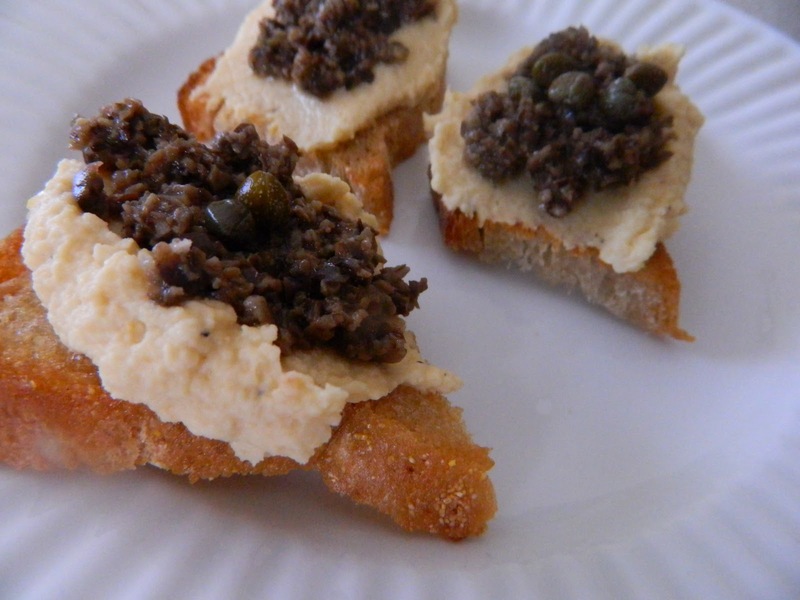 I toasted some homemade bread slices in a pan with a little bit of olive oil, then topped them with a heaping tablespoon of hummus, a teaspoon of the tapenade, and a few capers. I had some leftover toast and this is what I made this morning. I'll have the recipe for you tomorrow! 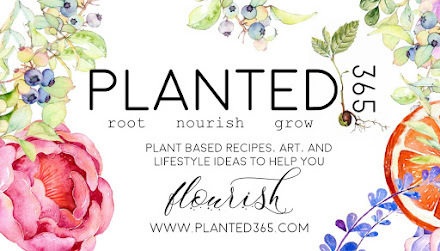 And by the way ... have you gotten your vegan face on yet? The Faces of Vegan PROJECT is a collaborative photo/video project intended to put a face to veganism. If you'd like to participate, just take a photo of yourself with some sort of sign that says, "I am vegan." That's it. I'll compile them into a video which will be online first thing Thanksgiving day (something to share with relatives who may be curious about your veganism!). Submit your photo to lisaviger@yahoo.com by November 1st! I will definitely check out the World Peace Diet, thanks Lisa. Hummus and tapenade, two of my favorite foods, married at last...beautiful! Thanks for a delicious-sounding recipe. I am vegan, but I haven't checked out that book yet. I'll have to now. 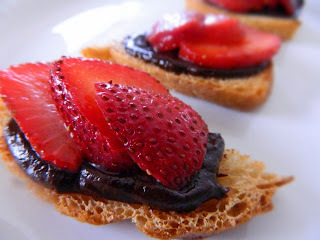 I have read about The World Peace diet on csl! Good stuff! 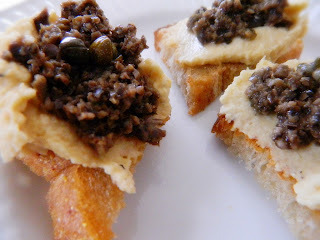 Speaking of good stuff, that tapenade is right up my alley! Yum! Awesome blog!We don't usually get such a treat! Halloween rePast and Garden Seed Giveaway Winner!